You are here: Home / Free Samples | Freebies | Free Stuff / FREE Instant Freebies via Text! FREE Instant Freebies via Text! 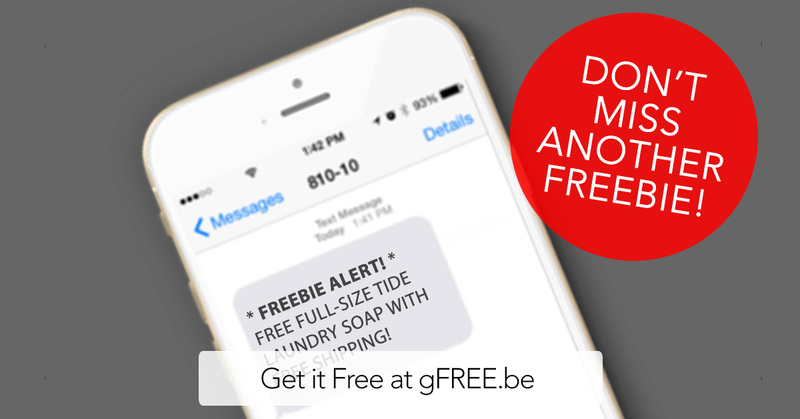 Sign up to receive FREE Text Alerts every time a new freebie is available! You’ll get INSTANT access to every freebie, and NEVER miss another limited giveaway we share! (you can also use the word STOP or QUIT but that will disconnect your phone from your Twitter account altogether). Standard text messaging rates may apply. If you have unlimited text messaging, this will be included at no additional charge. GimmieFreebies.com does not charge for this service. NOTE: We cannot stop this service for you, it’s your subscription with a 3rd party app that you must manage. To stop text messages you will need to follow the instructions to stop receiving text alerts (shown above).